I woke up this morning and tried to make coffee. Tried and failed. My mother saved me, fixing the pot and pouring me a new cup. Then I hastened out the door for my friend’s (Josh Alves’) book signing in Downtown Bangor. 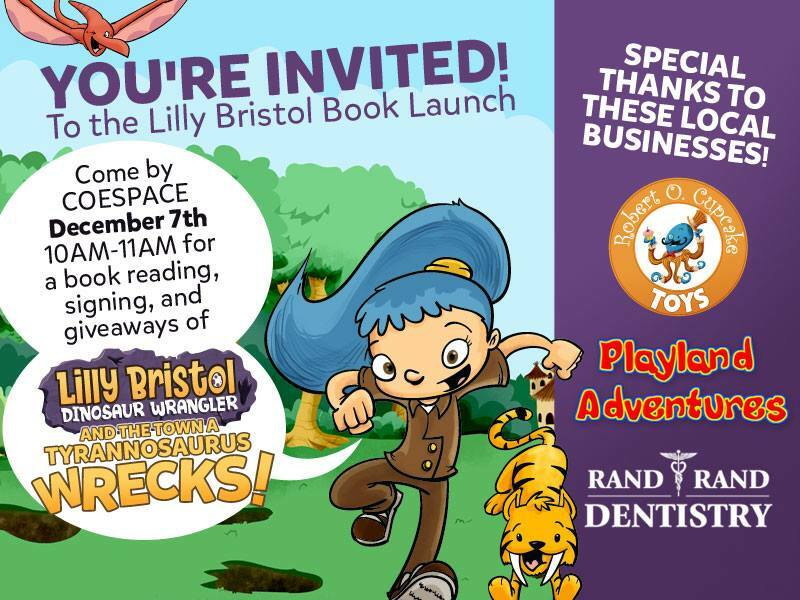 The CoeSpace storefront he had rented made the perfect backdrop to my illustrator/writing ally’s reading and signing of Lilly Bristol, Dinosaur Wrangler, And The Town A Tyrannosaurus Wrecks! It was nice to be the guest for a change, to be able to support someone else, to see so many new and old friends, to mix and mingle like a native–which I guess I am. Throughout college I was so busy that I never really felt connected to my hometown. All that is changing.